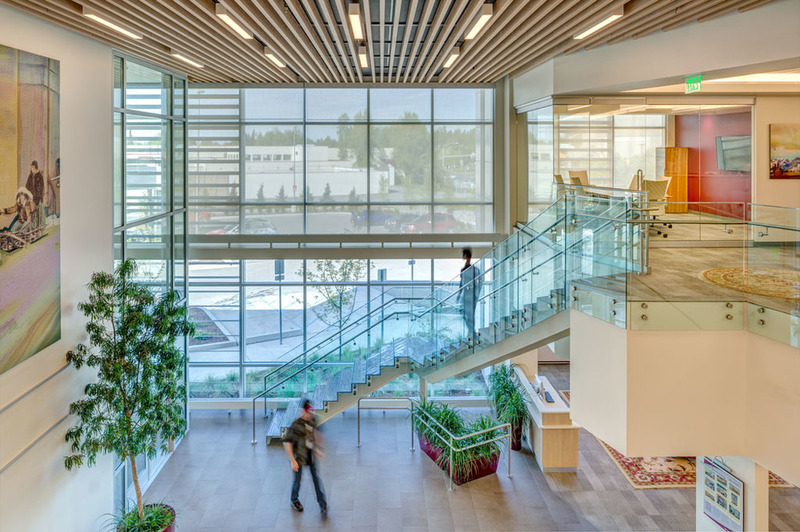 This is a six story 68,000 square foot addition/renovation to the existing State of Alaska Legislature Information Office located in downtown Anchorage. 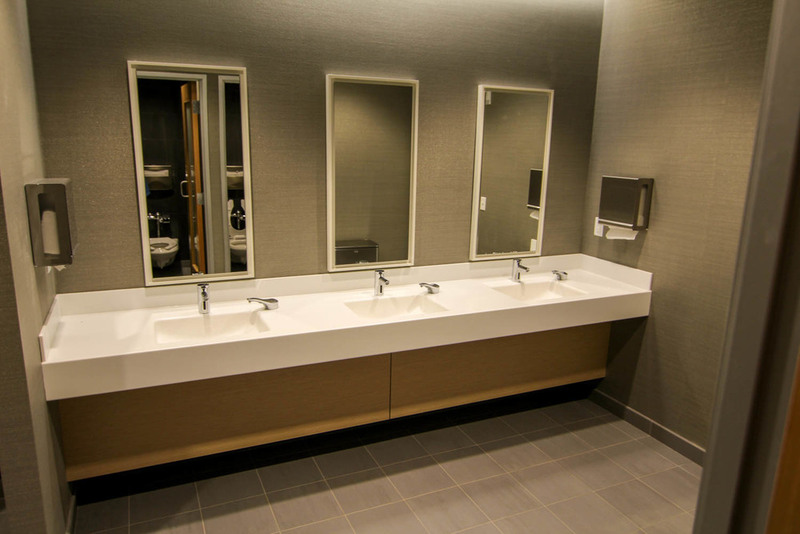 The project included demolition of all existing interior finishes, exterior concrete walls, mechanical, plumbing, electrical, sprinklers, and a single elevator -- all replaced with new modern energy efficient systems. We were asked to participate as design build team member from the concept phase, throughout the design-development, cost-development stages and construction phase. The team consisted of Pfeffer Development, KPB ARCHITECTS, EBSC Engineering, Reid Middleton, Inc., design build mechanical with General Mechanical, Inc. and RSA Engineering, design build electrical with Redi Electric, Inc. and EIC Engineers, Inc.
We started demolition of the existing building next to the LIO in December 2013 and worked through-out the winter towards the completion date set for December 2014. 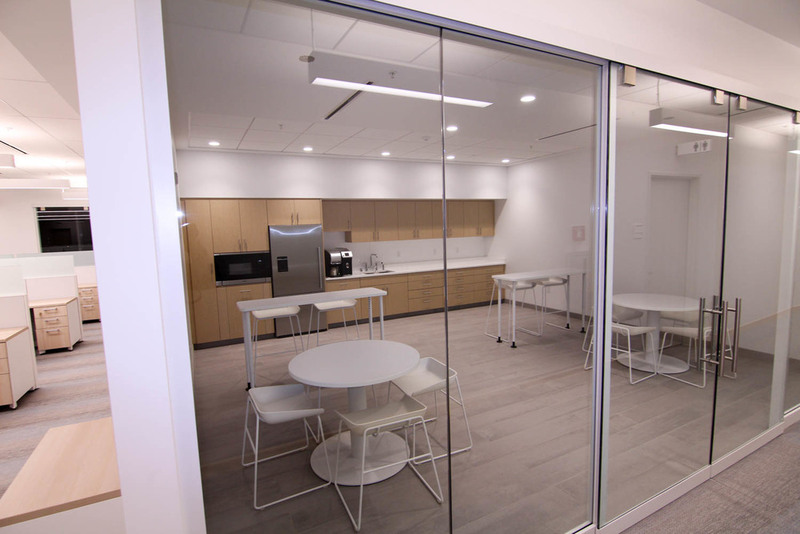 The complex project included removal of all interior partitions, finishes, mechanical, fire protection sprinkler and electrical systems. 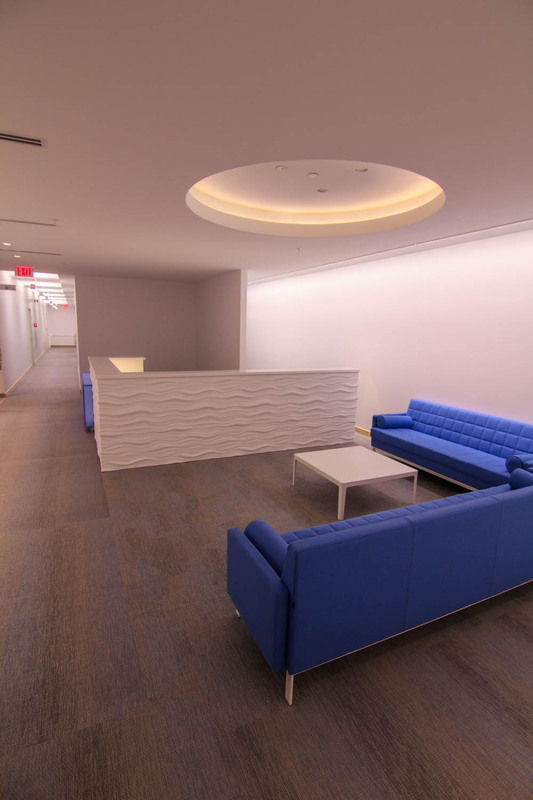 Criterion demolished an existing building in order to add approximately 24,000 sq.ft. to the structure. A six story fabricated steel addition was constructed to house the new restroom/elevator core. 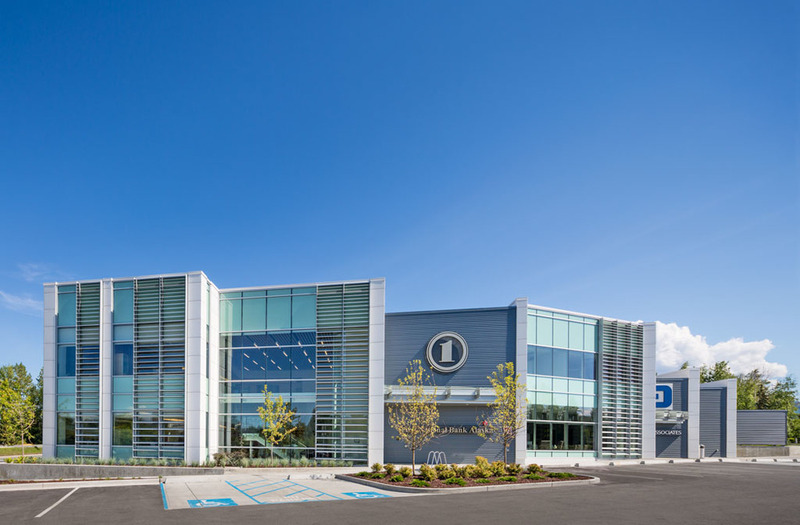 Criterion also removed the exterior concrete lateral support walls and replaced them with structural upgrade brace frame systems and high performance glass and metal wall panel systems. We replaced the building roof and installed high speed elevators. Other major team mates include: GMC Contracting , Alaska Demolition, Alaska Abatement, Denali Drilling, AS&G concrete, Dimond Fabricators, Inline Steel Fabricators, Andy Milner Company, K-C Corp, Rain Proof Roofing, Bradshaw and Associates, Statewide Door & Glass, Reptile, Far North Acoustics, Commercial Contractors, Door Systems of Alaska, Otis Elevator and Chinook Fire Protection. 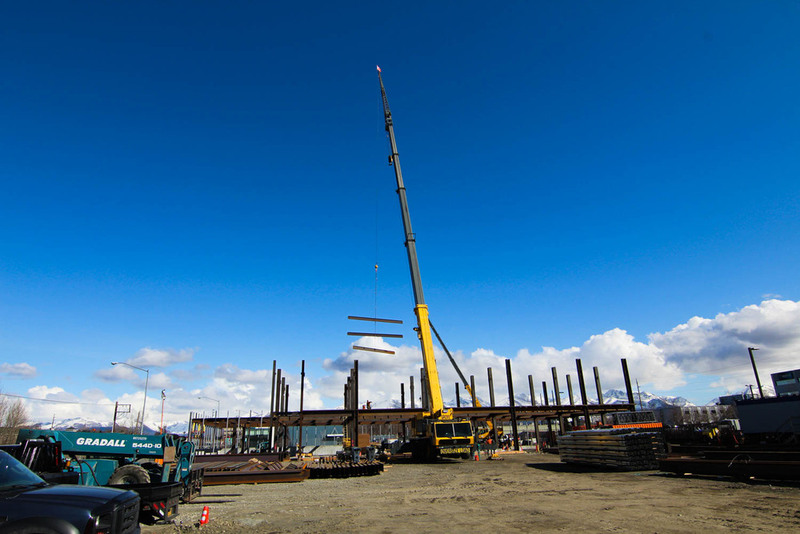 Below is a time-lapse video of the Project Team moving the crane back to the jobsite after the 2014 Iditarod weekend. To support the construction of the LIO building, we operated a Manitowoc 14000 (220-ton capable) crawler crane. The crane was configured with 213’ of main boom and a 50’ jib. It took a crew of 10 along with 12 truckloads to move the crane offsite. The use of a Grove RT890 (90-ton capable crane) was also used to accelerate the demobilization. 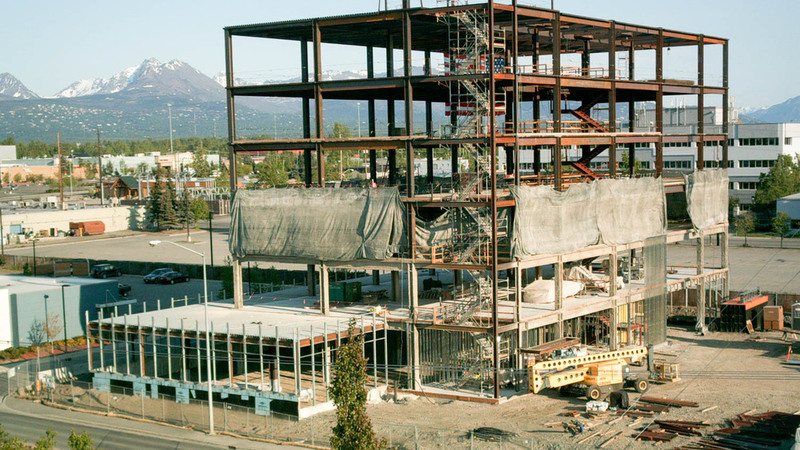 This is a two story 21,000 square foot structural steel moment frame core & shell building located in the U-med district of Anchorage. We were asked to participate as design build team member from the concept phase, throughout the design-development, cost-development stages and construction phase. The team consisted of Pfeffer Development, kpb Architects, EBSC Engineering, Reid Middleton, Inc., design build mechanical with General Mechanical, Inc. and RSA Engineering, Inc., design build electrical with Alcan Electric, Inc. and EIC Engineers, Inc.
We began site-work in May 2014 with a completion date set for December 2014. The project will include a nicely landscaped site with heated sidewalks, high performance energy efficient exterior glass, sun shades and metal wall panels, two elevators, and energy efficient mechanical and electric systems. Other major team mates include: BCX Excavating , Northwest Landscape, Ron Webb Paving, AS&G concrete, Dimond Fabricators, Inline Steel Fabricators, Andy Milner Company, Rain Proof Roofing, Statewide Door & Glass, Reptile, Far North Acoustics, Commercial Contractors, Northwind Painting, Otis Elevator and Accel Fire Proetction. 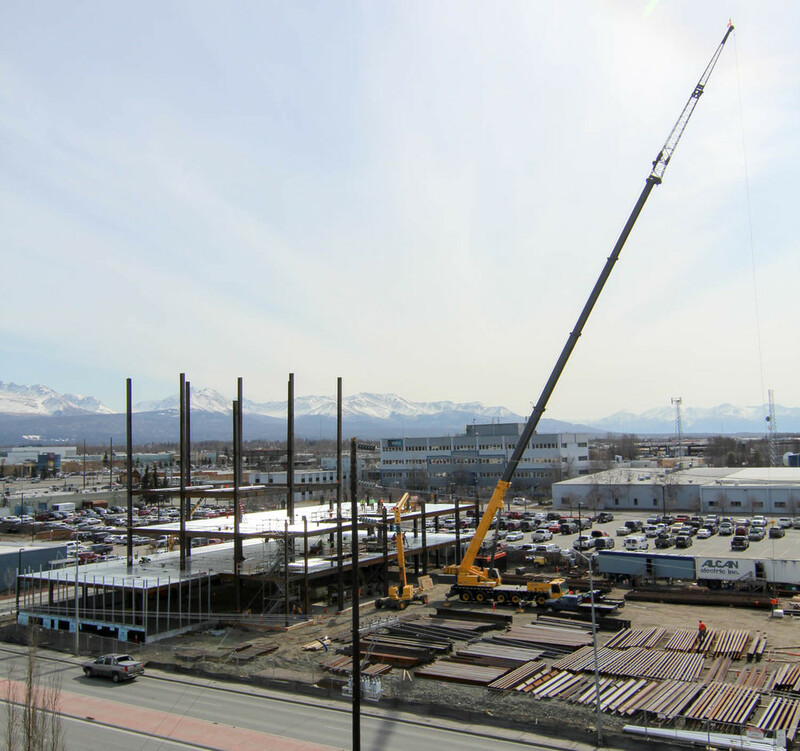 This is a six story 59,000 square foot structural steel moment frame core & shell building located in mid-town Anchorage. We were asked to participate as design build team member from the concept phase, throughout the design-development, cost-development stages and construction phase. 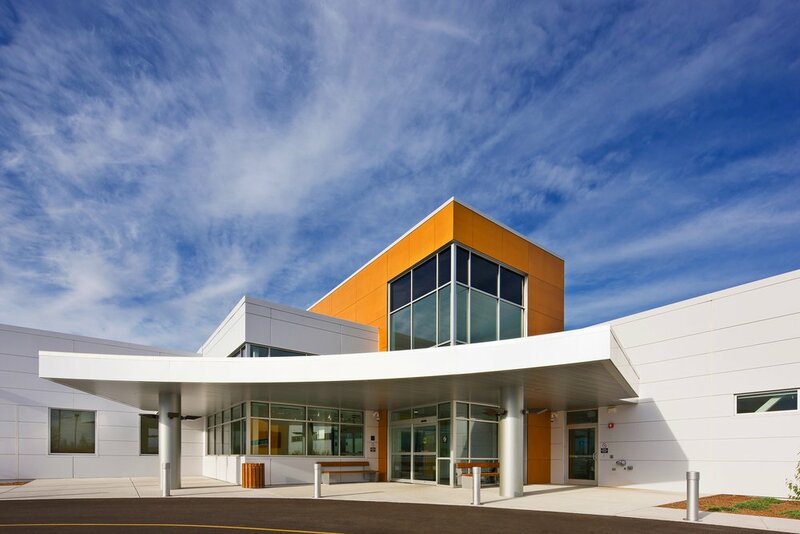 The team consisted of Pfeffer Development, kpb Architects, EBSC Engineering, Reid Middleton, Inc., design build mechanical and electrical with General Mechanical, Inc. and Alcan Electric, Inc. teaming with RSA Engineering, Inc.
We began site-work in October 2014 and was completed December 2015. The project will include a 12,000 square foot covered parking area, nicely landscaped site with heated sidewalks, high performance energy efficient exterior glass, exterior decorative metal perforated panels, terracotta wall panels, two elevators, and energy efficient mechanical and electric systems. Other major team mates include: BCX Excavating , Alaska Professional Construction, Accel Fire Protection, Rainproof Roofing, Inline Steel, Andy Milner Company and Otis Elevator. 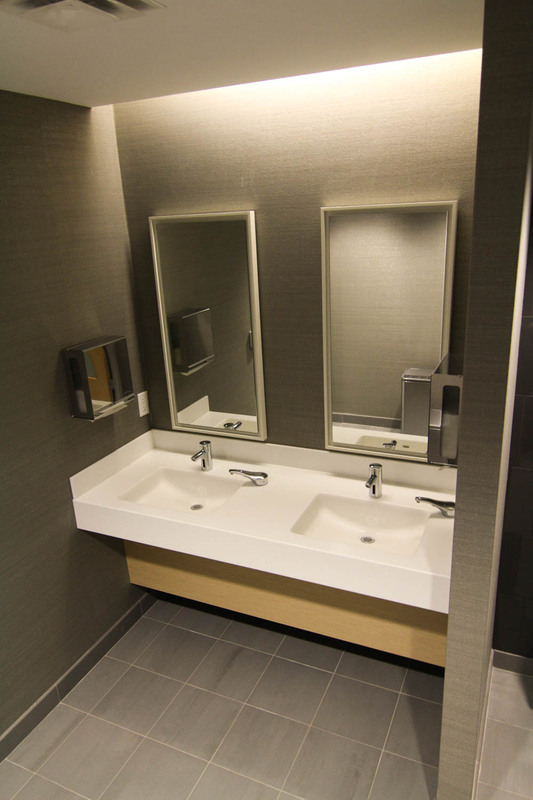 This project consisted of a complete interior and exterior renovation of the entire nine story building. We teamed up with Bezek Durst Seiser Architects and Enterprise Engineering Inc. on a low bid design-build public bid for the Municipality of Anchorage. We were awarded the project with a low bid price of $3,812,200. The project consisted of the design and construction of a wood frame structure of approximately 10,600 sq. 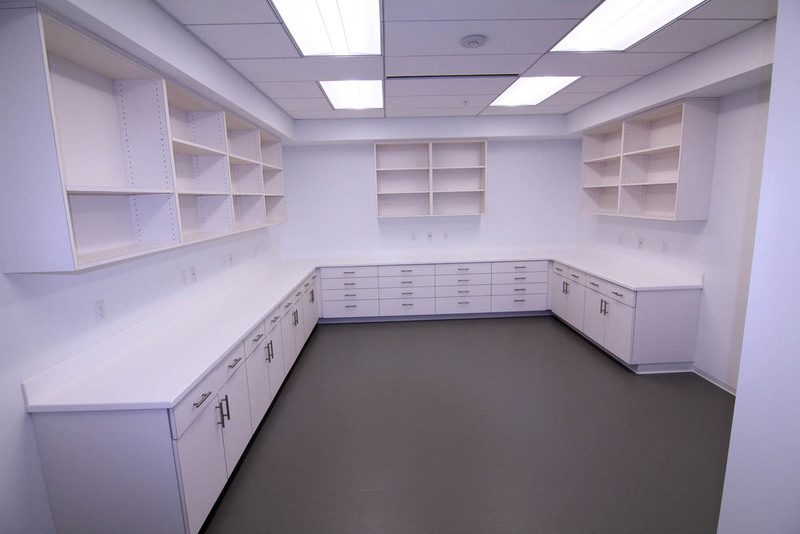 ft., which includes: dorm rooms, apparatus bays, a lounge, dive room, decontamination room, medic supply room and fitness room. The renovations of an existing structure of approximately 2700 sq. ft. which includes: a new kitchen, offices and restrooms. The project also includes an outbuilding of approximately 480 sq. ft. consisting of a fuel tank enclosure, generator/storage room, CMU dumpster enclosure, new generator package and all site work and utilities to support the development. Major subcontractors include: BC Excavation, Rainproof Roofing, K's Construction, Pioneer Door, Chinook Fire Protection, Slayden Plumbing and Heating, and Safe-T-Way Electric. The project was completed in January, 2008. Design – build Construction of a 50,000 sf warehouse / office facility. PEMB with insulated panels for the walls and roof. Warehouse to have a 17,000 sf freezer section and 34 dock high doors. Full site development with water, sewer and storm drain. 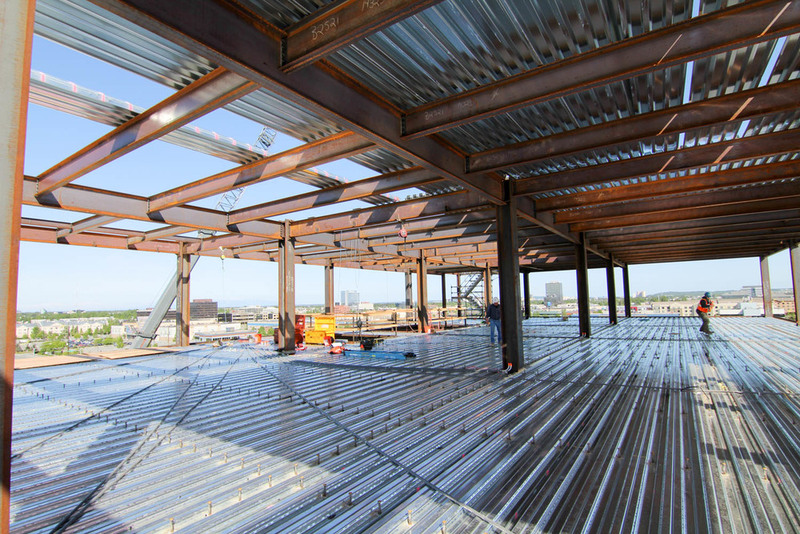 Construction started in fall 2014 and to be completed early 2015. 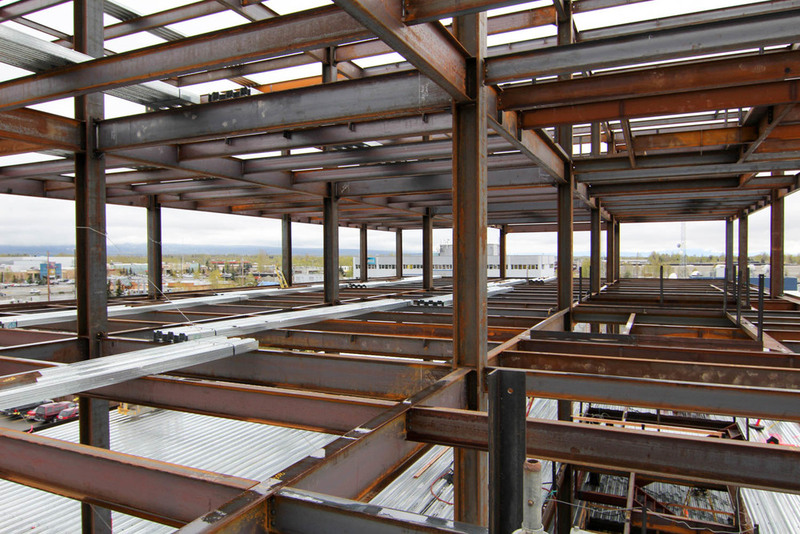 This is a 42,000 square foot steel frame day surgery center and medical office building located in Fairbanks. We began negotiations with the owner in August, 2009, were awarded the contract in October, 2009 based on 20% design-development drawings, developed the design with our team over the winter of 2009-2010, began construction in May, 2010 completed the project on schedule at the end of October, 2010. 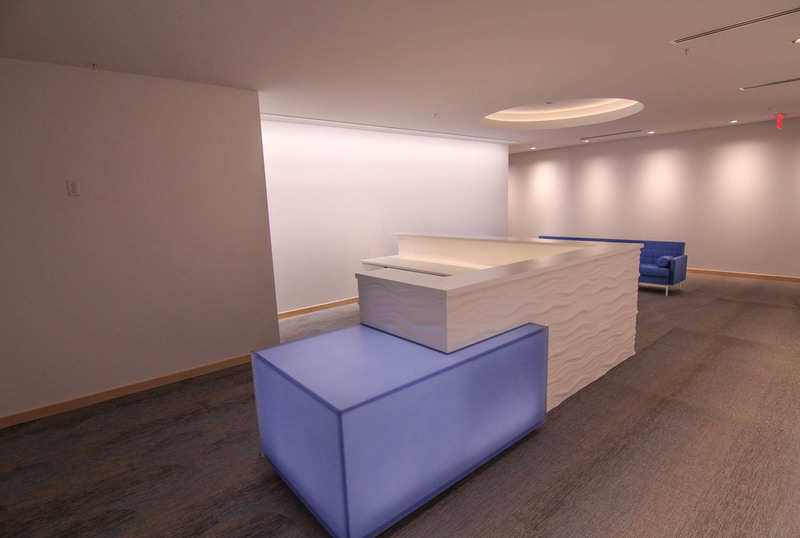 The contract value was set and we worked very closely with the design team and our subcontractors to control costs during design development and construction. This was a 15,000 sq. ft. masonry and steel facility for Anchorage Sand and Gravel, to be used for maintenance of heavy equipment and trucks. 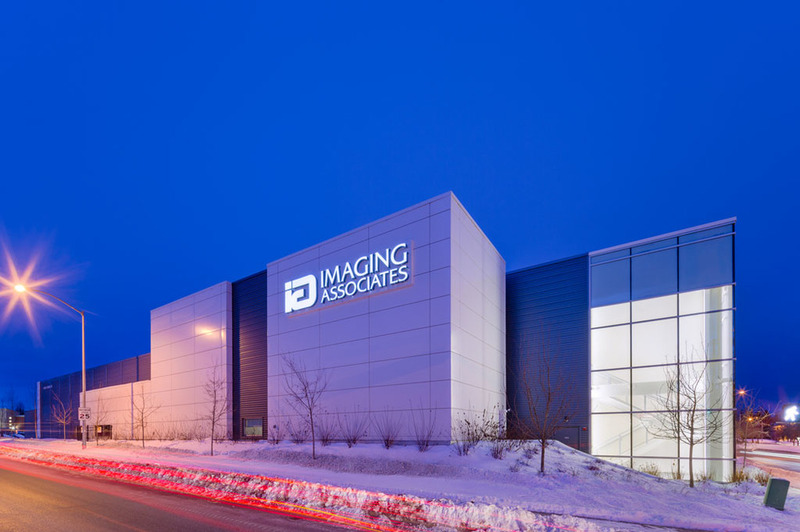 AS&G was actually the tenant, and the owner was Rock Partners, represented by Fergusson & Associates. The Architect was Cole & Thompson, and the civil engineer was DOWL. This is the same owner / design team as the Carlile Enterprises jobs. Project challenges included a 700 lineal foot, twelve-inch water mainline extension down Klatt Road, a wash bay, and a double-bridge double-hoist crane. All work was completed on time and under budget. 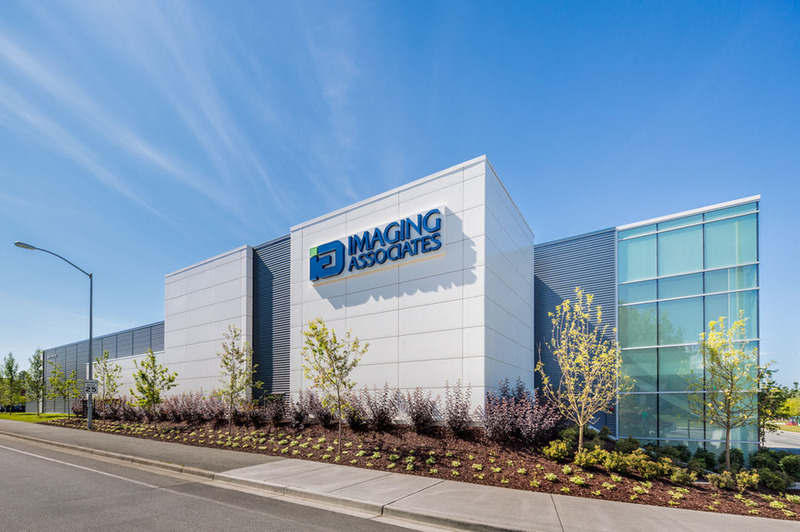 This six story 100,000 square foot office building is our largest to date, in terms of contract value, square footage, and number of stories. 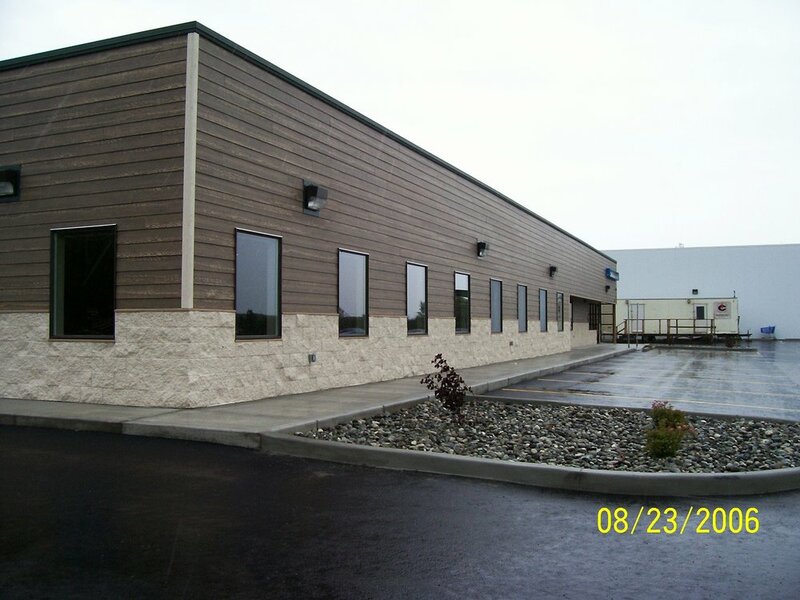 This is the home of Alaska USA Insurance Brokers, Alaska USA Trust Department and Alaska USA Commercial Financial Services. The building features a full-service cafeteria and Otis Gen-2 elevators. We were asked to participate as team members from the concept phase, throughout the design- and cost-development stages and construction phase. The team consisted of DOWL Engineers, Cole & Thompson Architects, Franklin & Associates, Otis Elevator Company, Norcoast Mechanical, H&K Sheet Metal Fabricators, Clemens Electrical and EIC Engineers. We broke ground in the summer of 2004 and worked throughout the winter to deliver the project in the summer of 2005. The complex structure included concrete elevator shafts and stair towers that were 96 vertical feet from the basement to the roof. We responded to a Mat-Su Borough RFP for a design-build-lease project. Our proposal was accepted and we began the design process. 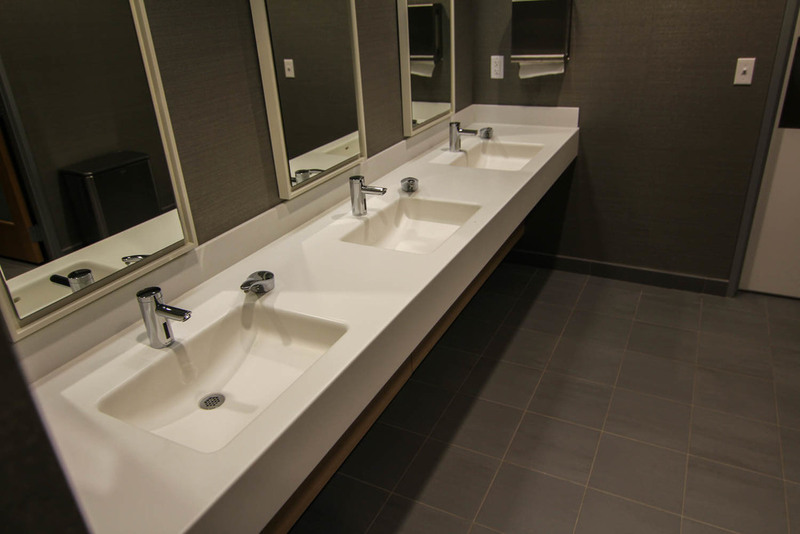 By working closely with the design team and the representatives for the school we were able to coordinate the design, the unique needs of the school into a final project that provided the maximum value to the school. On June 28, 2004 we were given a notice that we the successful proper on the project. The school moved into their new 18,000 square foot facility 4 ½ months later on November 19, 2004. This building houses the Alutiiq Museum and Archaeological Repository as well as the corporate offices of the Natives of Kodiak, Inc., and the Afognak Native Corporation. This project was funded through a combination of privately obtained financing and the Exxon Valdez Restoration Fund. It was designed by USKH, Inc., and offered for public bid. Criterion was the low bidder from a field of 12 with an offer of approximately $2,500,000. The bid amount was substantially higher than the owner’s budget and we were asked to offer value engineering suggestions. Through this process, and by working as a team with the owner and architect, we were able to reduce the contract value by over 10%, enabling the project to go forward. We successfully completed the project and gave the owner occupancy more than three months ahead of schedule, which resulted in further savings to N.O.K. in the form of office rents. This is a project of which we are particularly proud because of its cultural significance. The opening exhibits in the museum included local artwork, Native artifacts from the Kodiak area that had never been publicly displayed, and an exhibit from the Smithsonian Institute.